Two Semi pendant lamps were used as a prob in the 2017 crime thriller film All The Money In The World (2017) directed by Ridley Scott staring Michelle Williams, Christopher Plummer and Mark Wahlberg. A movie about the kidnapping in Rome in 1973 of 16-year-old John Paul Getty III, grandson of oil tycoon Jean Paul Getty. 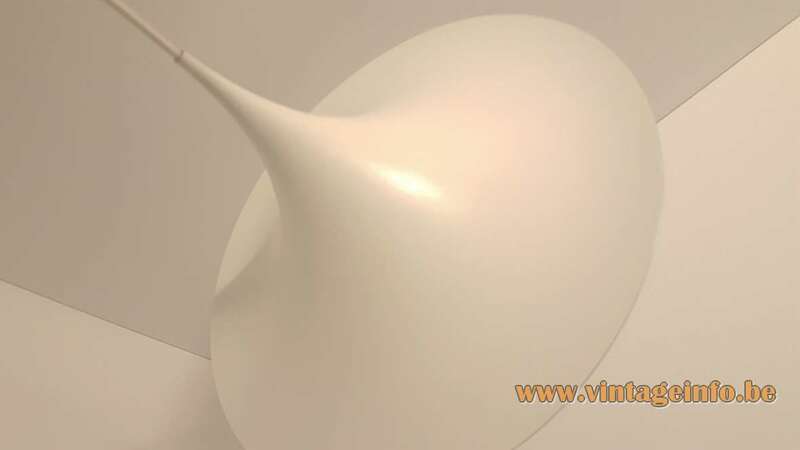 Materials: White painted aluminium witch hat lampshade, porcelain socket. Designers: Torsten Thorup and Claus Bonderup M.A.A. in 1970. Manufacturer: Fog & Mørup A/S, Copenhagen, Denmark. Other versions: Made in two sizes: Semi Mini 47 cm – 18.50” and Semi Maxi 70 cm – 27.55” and several colours. 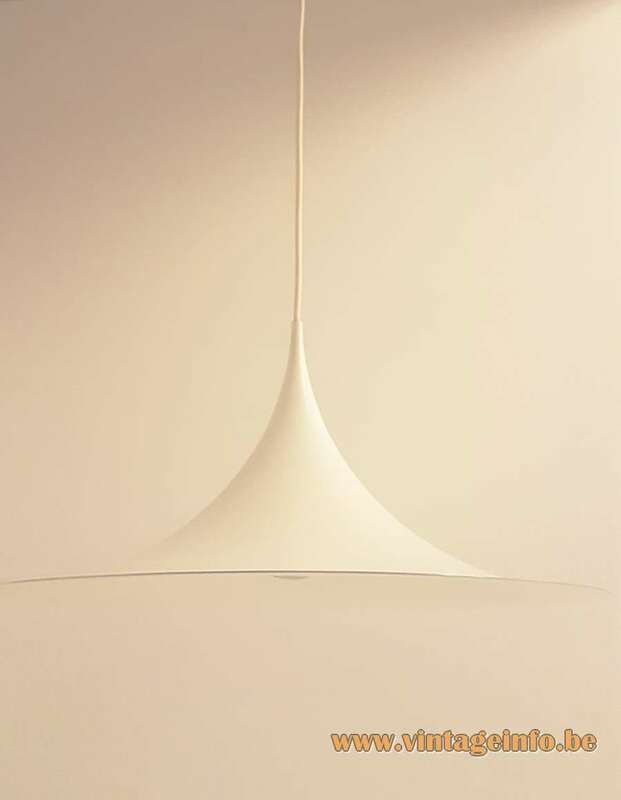 The Semi pendant lamp received an iF Design Award in 1971. Ansgar Fog (1880-1930) and Erik Mørup (1879-1972) started their business together in 1904 as a metalwork wholesaler. Two years later they moved to the capital Copenhagen and began to focus on lighting production. Over the years they took over several electrical and lighting companies. 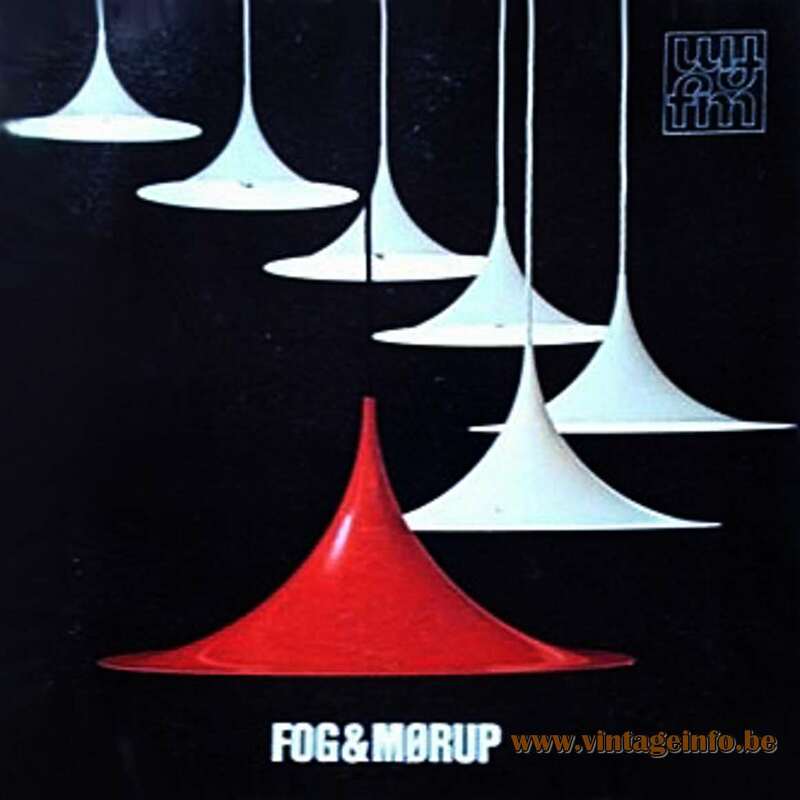 It was only in the early 1960s that Fog & Mørup really emerged as a key force in lighting design. In 1957 Jo Hammerborg was appointed as head of design. Important designers and architects that worked for the company are: Claus Bonderup, Torsten Thorup, Sidse Werner, Sophus Frandsen, Jørgen Bo, E. Balslev, Peter Avondoglio, Karen Clemmensen, Ebbe Clemmensen, Hans Due and off course Jo Hammerborg. Lyskaer-Lyfa produced lights until 1991, when it was incorporated into Horn Belysning A/S of Aalstrup. Horn itself was taken over in 2005 by Nordlux of Ålborg and at a large extent dismantled. The light company was founded in 1952 as a family business and first named E.S. Horn. In 1963 it changed into Horn Belysning – Horn Lighting. 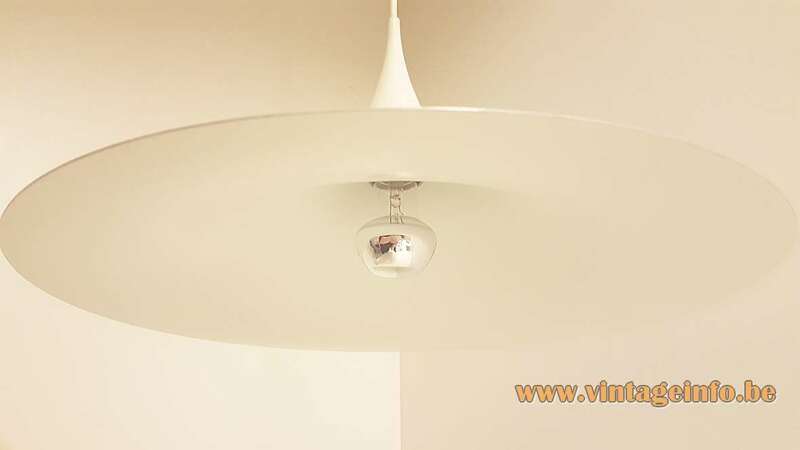 The company produced lights for IKEA and several European retail chains. They designed lights but also imported lights from China. In the 1980s it was the second biggest light company in Denmark. 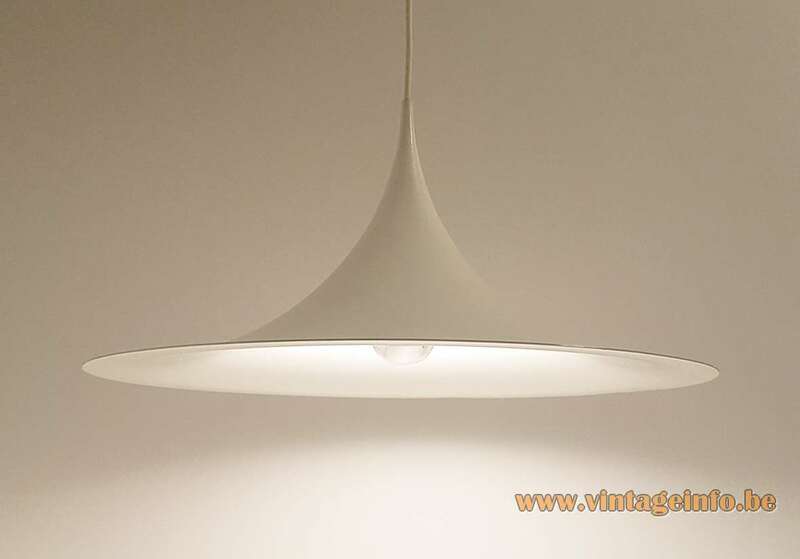 A remake of the Semi pendant light can be found here on Vintageinfo. It was made in the 1990s when Horn Belysning bought Lyskær-Lyfa A/S, the company that was the owner of the ABO Randers and the Fog & Morup brand. 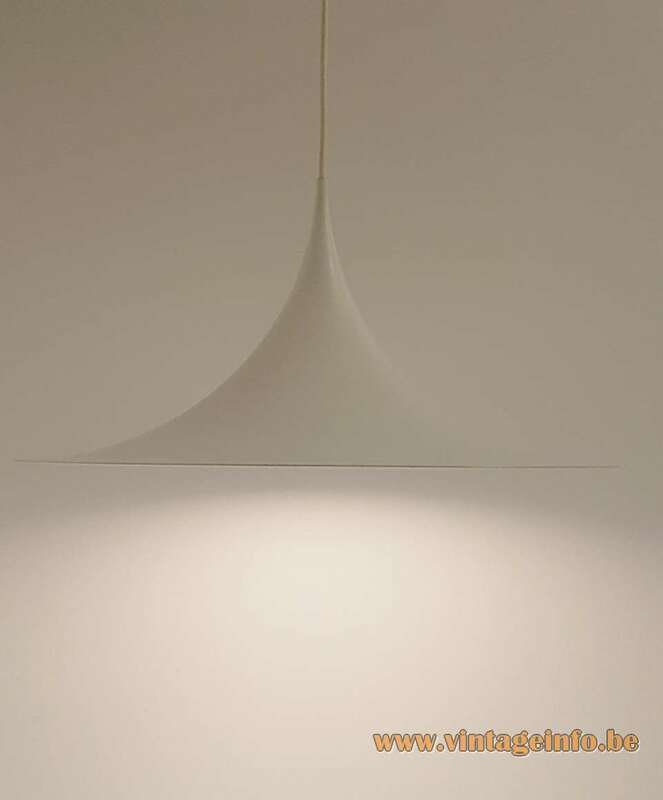 Today the Semi pendant lamp is in production by the Danish company Gubi. Gubi was founded in 1967 in Copenhagen by Liesbeth and Gubi Olsen. Gubi is specialized in “designs that combine the past and the present“. 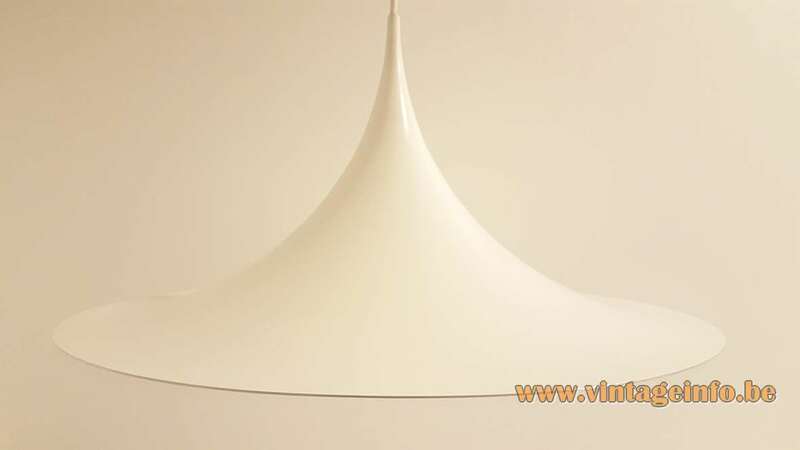 They sell 3 versions of the Semi pendant light: 30, 47 and 60 cm (11.81, 18.50 and 23.62). 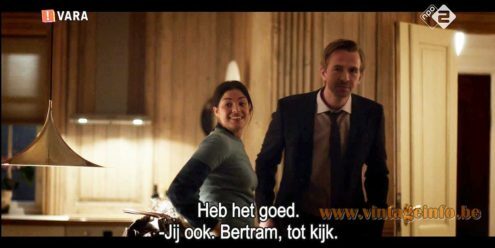 The Semi pendant lamp was used a s a prop in the Danish TV-series Follow the Money from 2016. The original Danish name is Bedrag (deception). It is a financial crime thriller that has run for 2 seasons and it has 20 episodes in total.